A senior official from the U.S. Department of Health and Human Services reviews federal policy. A recently published review of HIV-specific state criminal laws by colleagues from the Centers for Disease Control and Prevention (CDC) and the U.S. Department of Justice (DOJ) examines the prevalence and characteristics of laws that criminalize potential HIV exposure in the 50 states and the District of Columbia and discusses the implications of these laws for public health practice. 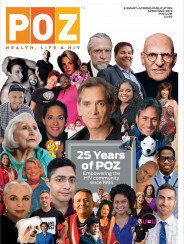 According to their review, published in the journal AIDS and Behavior, the first state laws criminalizing potential HIV exposure were enacted in 1986 and, as of 2011, a total of 67 laws had been enacted in 33 states. The authors note that many of these laws criminalize behaviors that pose low or negligible risk for HIV transmission. In fact, the majority of laws were passed before studies showed that antiretroviral therapy (ART) reduces HIV transmission risk and most laws do not account for HIV prevention measures that reduce transmission risk, such as condom use, ART, or pre-exposure prophylaxis. 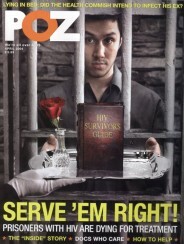 The National HIV/AIDS Strategy (NHAS) observes that “an important step we can take is to ensure that laws and policies support our current understanding of best public health practices for preventing and treating HIV” and that “laws that run counter to scientific evidence about routes of HIV transmission…may undermine the public health goals of promoting HIV screening and treatment” (pages 36-37). Accordingly, the NHAS recommended that state legislatures “consider reviewing HIV-specific criminal statutes to ensure that they are consistent with current knowledge of HIV transmission and support public health approaches to preventing and treating HIV”(page 37). View the full article online. Learn more at the CDC’s new web page, HIV-Specific Criminal Laws. At the U.S. Department of Health and Human Services, Ronald Valdiserri, MD, MPH, is deputy assistant secretary for health, infectious diseases, and director of the Office of HIV/AIDS and Infectious Disease Policy. This article was originally published on AIDS.gov.